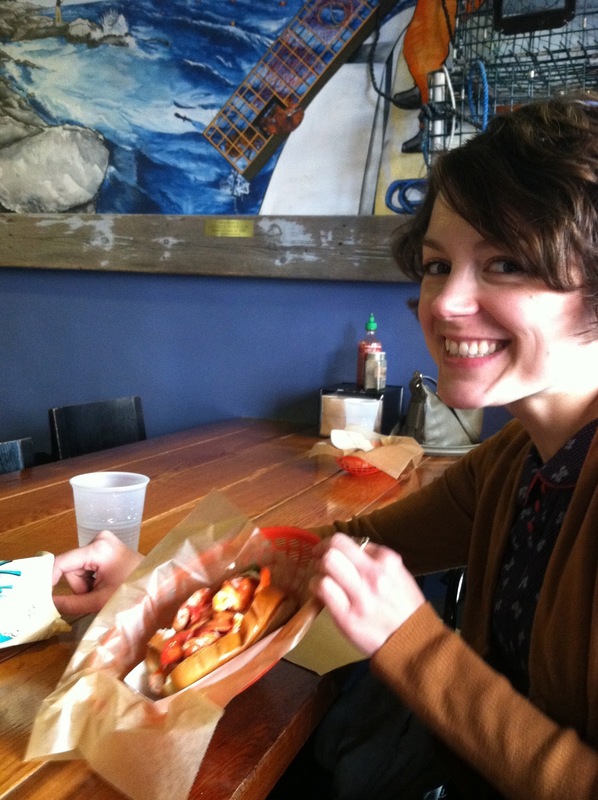 Galina and I have a new lobster roll buddy, Allison, and the three of us have tried two different lobster roll places in the past few weeks. 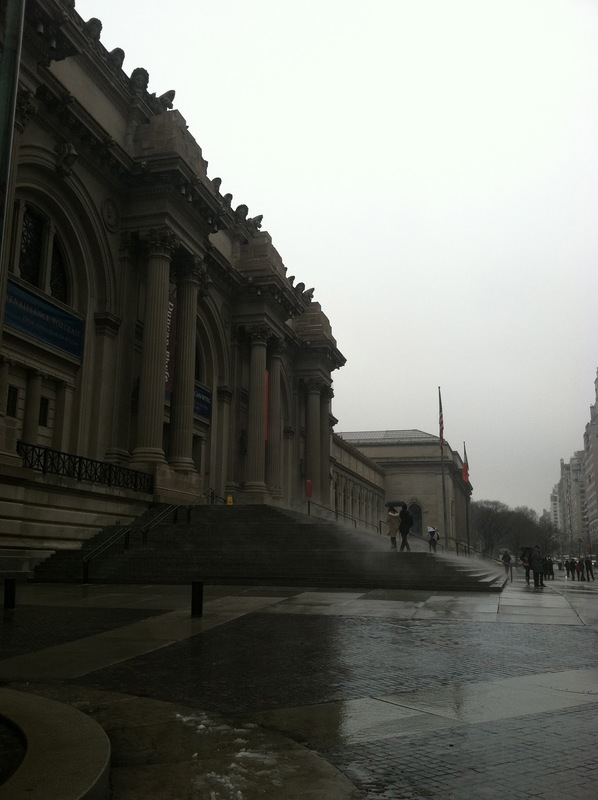 And, serendipitously, lobster rolls were served at the opening of the American Wing at the Met recently! I feel that in only five lobster rolls (Pearl Oyster Bar, Sable's, the Met's opening, Mermaid Inn, and Luke's), I might have become a connoisseur, but I suspect it will take some more sampling to more fully refine my palate. 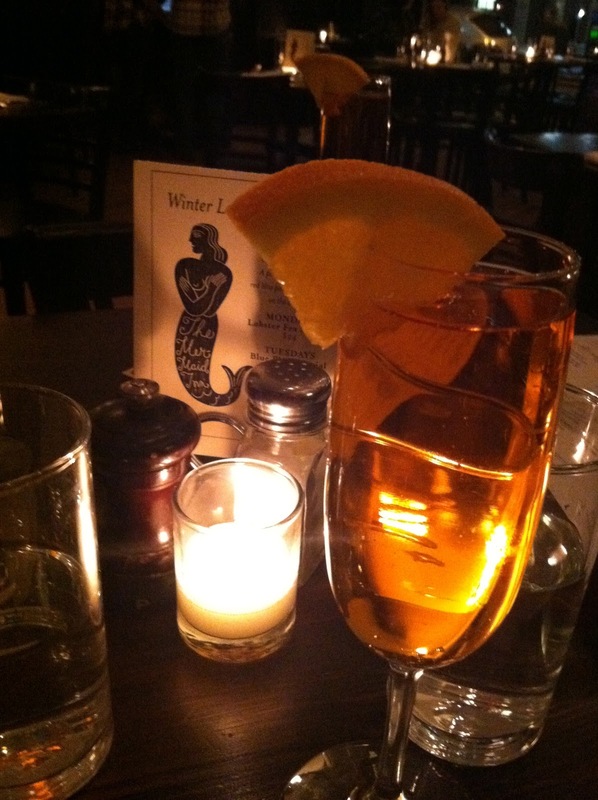 First, we visited the Mermaid Inn on the Upper West Side (http://themermaidnyc.com/uws/). We loved this place! The decor is lovely; I felt like I was near the New England seaside more than in the middle of Manhattan. There were white painted ceilings and lovely candle-lit tables. 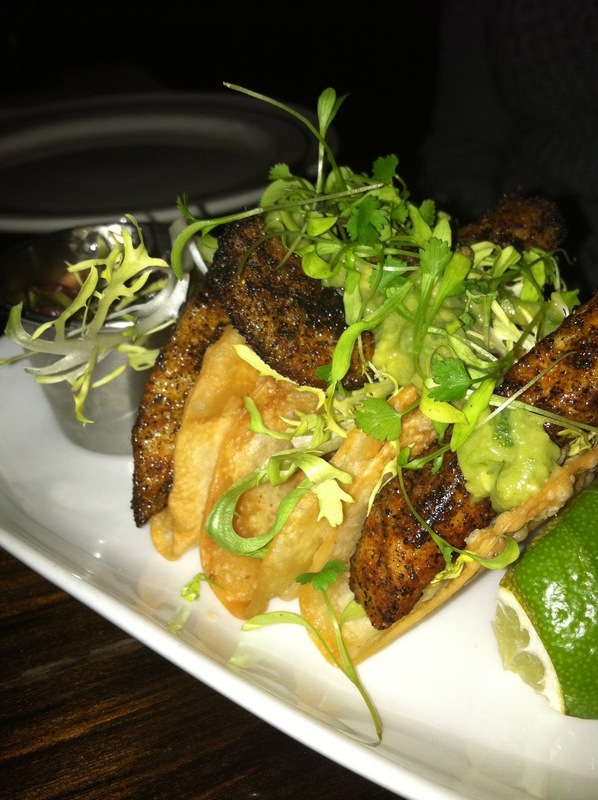 We went for their Happy Hour special (before 7 PM), which includes tapas-sized seafood and drink specials. 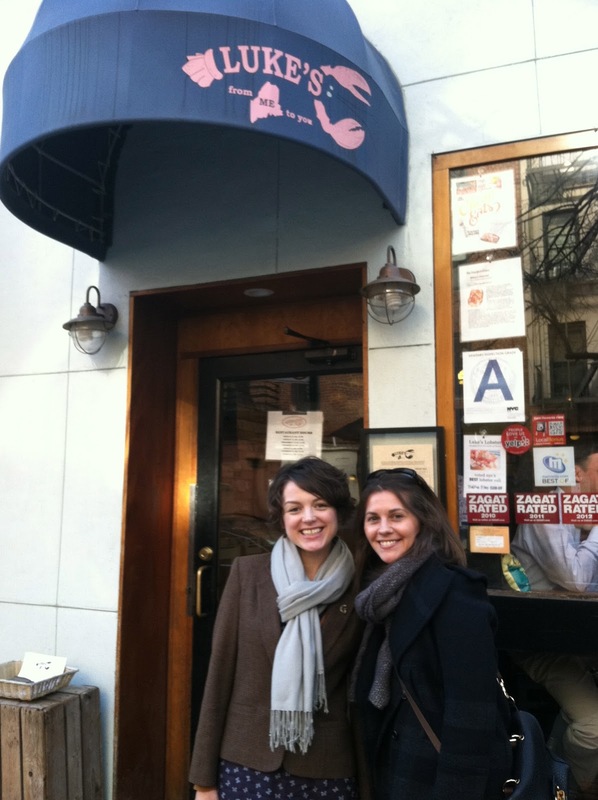 We shared plates of oysters, calamari, fish tacos, and of course, the all-important lobster roll. I was curious about the shrimp corn dog, so will have to go back to check it out. The fish tacos were amazing - they took me immediately to those Malibu seaside restaurants again (I'll be heading to LA soon, so will have to go for a fish taco fix again then!). And, as for the lobster roll, these were delicious. It was essentially a large piece of lobster meat without much sauce or flavoring or mayonnaise (unlike the chunky salad with mayonnaise at the Pearl Oyster Bar), and it had a sweet pepper on top. Yum! Then more recently, the three of us took a lovely lunch break to the more casual atmosphere of Luke's (http://www.lukeslobster.com/) on the Upper East Side. We passed a new chapter of Alice's Tea Cup on the way that we'll have to go back to! 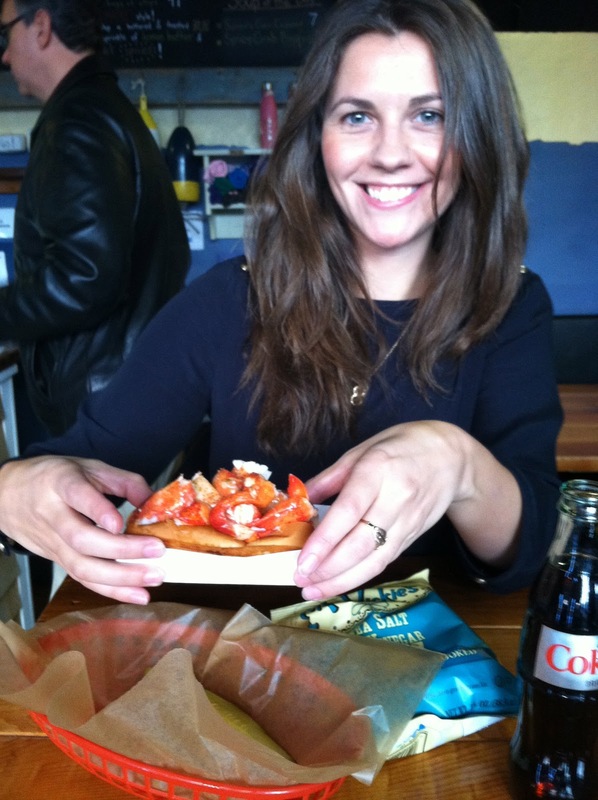 But here at Luke's, we had yet another iteration of the lobster roll. 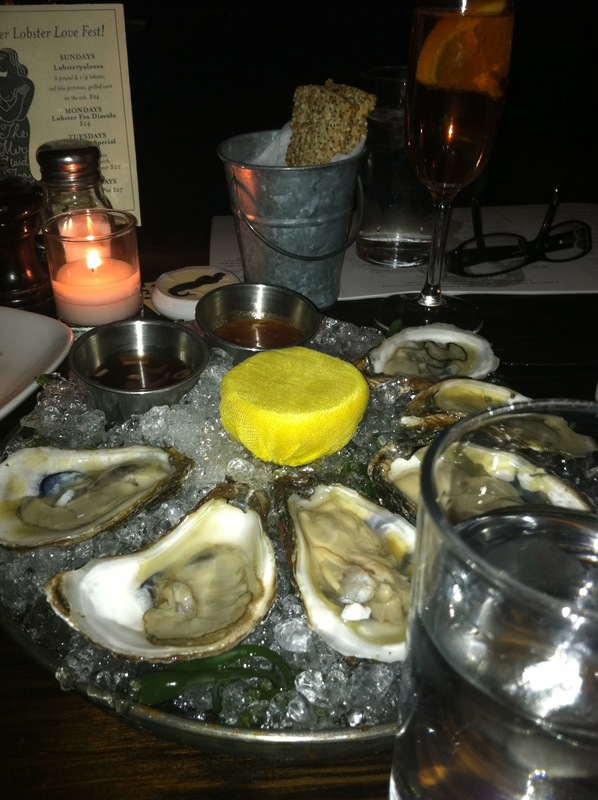 In this case, it was a meeting between Pearl Oyster Bar and Mermaid Inn. The texture was more of a chunky salad, as at POB, but there was no binding material like mayonnaise, as at MI. In this case, the lobster is drizzled with butter and spices. The hoagie bread at Luke's is particularly nice, with flat sides and buttered as toast. 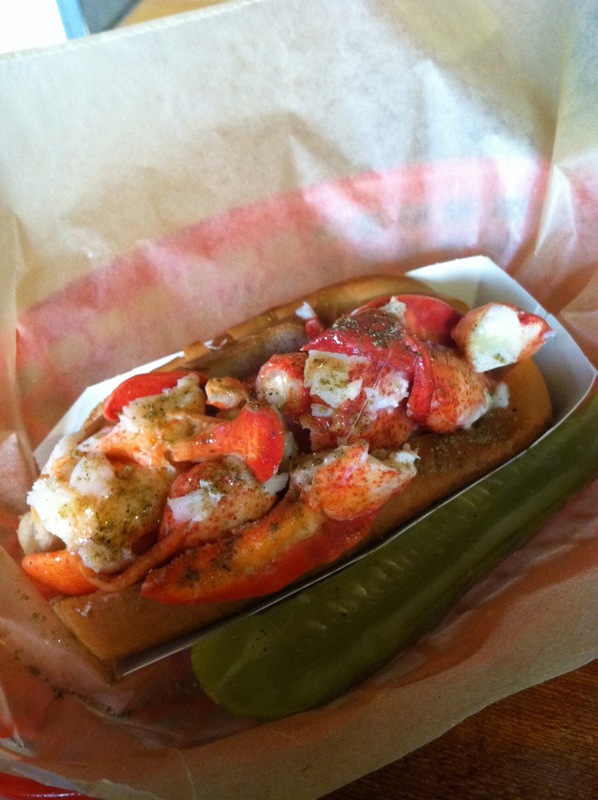 I bumped into a colleague near the museum on our way back, and he explained that with the true lobster roll experience, the roll is as important as the lobster meat. I think I'm envisioning an investigative trip up to New England in the near future!